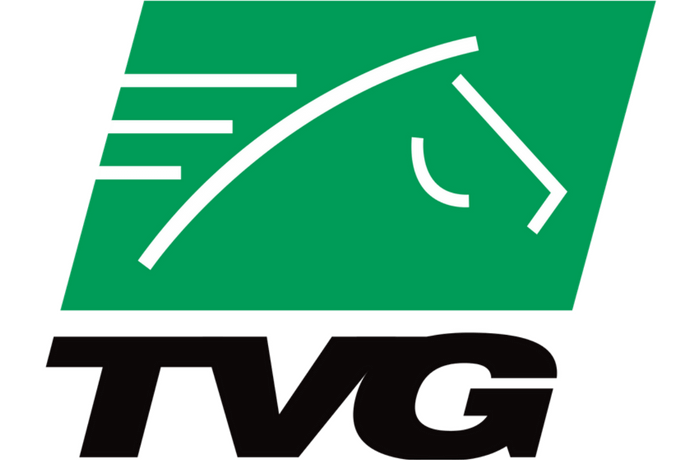 TVG is a pari-mutuel bookmaker that specializes in horse racing. 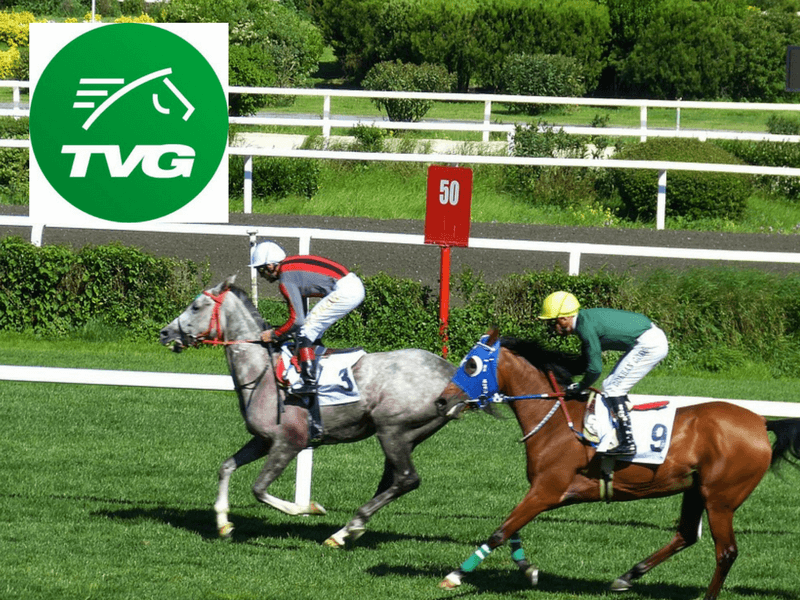 In this TVG review, we will be giving you our opinion of what they have to offer, from their welcome offer, to their mobile app, it will all be covered in this review. The comparative table below will give you a quick insight into our opinion of the various aspects of the operator. TVG's welcome offer changes regularly, but its current does not disappoint: 100% up to $75 on your first deposit, plus $20 in free bonus funds just for signing up! These bonuses will give your funds a boost that you can use to bet on horses right away. Keep in mind that being 18+ and a new player is mandatory to claim this bonus. Other terms and conditions apply. With this site you can bet on horse racing, and that’s it. No greyhounds or added games, just pure horse racing. There are 121 different tracks on the track list that you can bet on, which include venues from all over the United States of America as well as some in Canada, Australia, the United Arab Emirates, Great Britain, China, Ireland, New Zealand and South Africa. In this TVG review, they are boosted by the fact that they offer a lot of tips, replays and a handicapping store. Now, although the items in the handicapping store – such as the Daily Racing Form and the TrackMaster ® Expert Selections articles – do cost more money, with some costing as little as $1.50, but others setting you back $20.00 per card. On most races – depending on the race of the day – you can bet for your selection to win, place or show, along with also being able to create exacta, trifecta, superfecta, daily double, P3 or P5 – in which you pick X number of winners in a row. This TVG review gives them a 4/5 rating due to the number of tracks, betting options and number sports available. In our opinion this site is great for horse racing, but needs to add more variety to compete with other operators. For Race 6 of the Fraser Downs on October 30, the favorite coming into the race was Givemeaminute with odds of 3/1 58 minutes prior to the race. So if you were to place $10 in Givemeaminute to win the race, and the horse did indeed win the race, you would be returned $40. There aren’t any enhanced odds due to how the odds are formatted, but there are promotions. For the Breeders’ Cup there’s the Money Back Special, where if your horse comes second or third, you’ll get up to $15 back on your first win bet. As stated, the odds are as good as you would get if you were live at the track, and as you’re not betting against the operator, they can allow you to get odds as good as if you were there in person, so the overall quality of the odds is very good, giving them a perfect score for the TVG review. The mobile app features the full list of races along with live streaming of the races. You can see your bets, place bets, make deposits, browse races. Unfortunately, you do not have access to the free feature Past Performances on the mobile app, despite it being available on the website. The app is available to Apple devices, via the Apple App Store, but it has not yet been made compatible for use on Android devices. However, you are still able to access a mobile version of the website through Chrome or another internet browsing service, which makes for easier usage on mobile devices. On the Apple app, you can view live streaming on the page in which you make your selections and place your bets, simply having to turn the screen to switch to full screen viewing of the live streaming. The mobile app also has a race alert feature, that sends you notifications whenever a race that you want to watch or have bet on is about to start – so that you can log in and watch the race unfold. 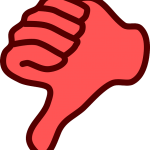 Although the features of the app are really good, the fact that it isn’t compatible with Android – leaving Android users to the far inferior mobile site – drops them a point in this TVG review. Credit or Debit cards (Visa or MasterCard): The no fees method of depositing directly from your card to your account. There are deposit limits of $25,000 a day and $100,000 a month, but these can be adjusted. Prepaid card: This prepaid card is great for regular users as it’s safe, secure and free of charge. PayNearMe: Make your deposits from your nearest 7-Eleven, the cashier will charge you $3.99 for the service. BetCash: Nice and easy way to deposit your funds straight into your account. PayPal: $5 charge for every deposit with the minimum deposit set at $10. PayPal is an eWallet service, which you will need to link to your U.S. based account. They allow for plenty of safe, fast, secure and easy methods of getting cash into your betting account. The fact that this site doesn’t have a live chat service like many other bookmakers is a negative, as shown by this TVG review’s score, however the option to tweet them does compensate for that, somewhat. Whilst you won’t get immediate help via email, and it can take time to get connected through the phone service, the options are there to sort out any issue that you may have. But the lack of a live chat is a huge hindrance as, more likely than not, you need a problem to be solved quickly as you will have come onto the site to bet on a specific race that probably commences soon. Their response time through Twitter is fast on weekdays – very slow-non-responsive on weekends – and they don’t offer services in any language other than English. If it’s not a response that you’re looking for, rather some form of help, the website does have a tutorials page where their detailed videos walk you through many aspects of the website such as: quick deposits, finding race results, how to withdraw, how to use the free handicapping tools, etc. As a registered account holder, you can watch up to ten hours of live streaming every month. After those ten hours are up, you can spend $3 to add another ten hours; also, you receive another free hour of live streaming every time you bet $25. You can access this through regular wifi or mobile data on both the mobile app and through the website. You can watch all of the main events from the U.S. and abroad, with the site offering live streaming from all of their covered tracks. As with any live streaming service, the feed is mildly behind, but it’s a reliable source to watch the races through. In our opinion, charging for extra hours is a bet cheeky, however, you only have to wager $25 to get another hour, and if you’ve watched ten hours of horse racing, you’ve probably staked more than $25. The operator offers great odds and live streaming to over 120 different race tracks across the USA and from some nations overseas. The Apple app is smooth, easy to use and intuitive, with a website that also presents a simple and easy to use format. The tutorials section which hosts lots of tutorial videos is particularly inspired and very helpful. However, the welcome bonus is not the best, the app is only available on Apple devices and their customer service doesn’t host a live chat. Coming to the end of this TVG review, our opinion of the site is that it’s great for your horse racing needs, but does fall behind other operators that are similar, resulting in the TVG review sometimes giving an average rating. 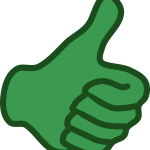 However, what the site does well, it does very well, and still provides a very good service. To obtain the 100 percent matched deposit bonus of up to $100, plus the extra Breeders’ Cup bonus, you have to sign up as a new customer, make your deposit and then spend the entirety of that deposit within your first 15 days on the site, then you will be granted with the matched deposit bonus. Also, the extra up to $100 Breeders’ Cup bonus is dictated by your betting every day in the running to the Cup, with each of your bets adding to the amount of the bonus that you can receive – a maximum of $10 of the bonus can be earned each day. The bonus will then be credited to you during the Breeders’ Cup for you to use for betting on the Cup. Easy to use and smooth mobile app and website. Not a great welcome offer. Lots of reliable help provided by the website for customers. App only available on Apple devices, with the mobile site not being as good as the app. Odds representative of those at the track. No live chat for customer services. If you enjoyed this review of TVG check out how to get a 100% match up to £100 with a TVG promo code.